This is the twenty fifth in a series of reviews of the best dive resort locations around the world. In this post, the focus is Los Roques, Venezuela. Background – Consisting of 350 islands, cays and islets, Los Roques is an isolated archipelago covering 40.61 square km (25 square miles), 128 km (80 miles) north of the nearest mainland city, La Guaira, Venezuela, 176 km (110 miles) from the capital of Caracas and 160 km (100 miles) east of Bonaire. It has a permanent population of 1,500 that lives primarily on one island, El Gran Roque, and 70,000 visitors annually. Due to its bird population it was made a national park in 1972. Since that time it has developed a reputation as one of the very finest scuba diving regions in the Caribbean. Spanish is the primary language. In the hotels and dive shops there are English speakers. 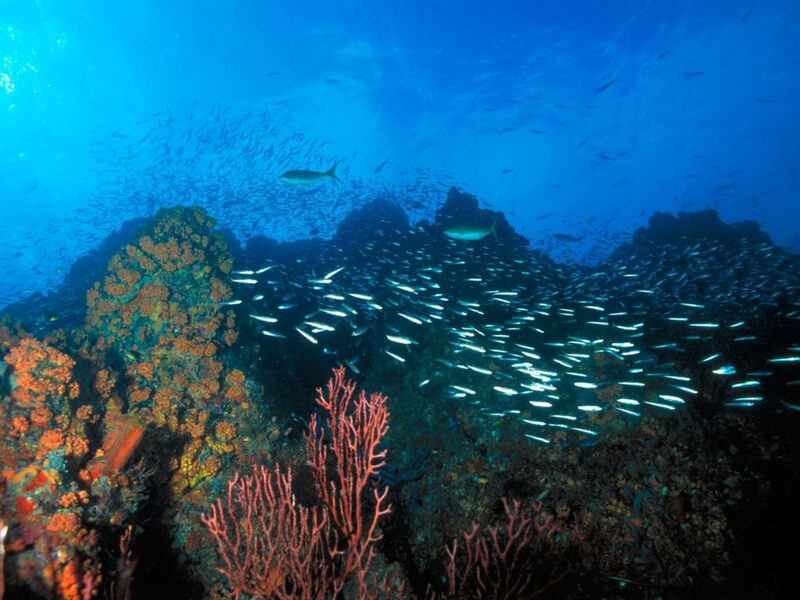 Undersea World – Barrier reefs on the east and south provide protection and no mainland estuaries flow into the archipelago leaving it with pristine rich coral formations and clear water. There are shallow areas of sea grass and coral gardens, pinnacles, walls of soft corals and sea whips to as deep as 60 meters (200 feet), caverns and 16th century ship wrecks. Sponges of all sizes and colors enhance the reef palette and a long list of other highlights include queen conchs, lobster, angelfish, wrasses, parrotfish, barracuda, surgeon fish, butterflyfish, 4 species of turtle (green, hawksbill, leatherback and loggerhead), nurse sharks, stingrays, manta and eagle rays, tarpon and whale sharks. Seasons and Conditions – Diving is good year round with seasonal variations in conditions. It is always warm with air temperatures to 30°C (86°F) in summer. It is windier from December to April, which can increase surface chop. The best diving is in the summer from June to October when water temperatures reach 30°C (86°F). The rainy season runs from September to January. Water temperature may dip as low as 25°C (77°F) in January and February. Most divers will be comfortable in a 3 mm wetsuit when the water is at its coldest. Visibility averages 30-40 meters (100-135 feet). Los Roques is not an area renowned for liveaboard diving, but there are many cruises in other areas around the Caribbean. Click here to book a Caribbean liveaboard holiday. *Note: In the above video you can see divers killing lionfish. In many places in the Caribbean they have been introduced through the aquarium trade and made their way onto the reefs. They are considered invasive and not welcome due to their over-consumption of local species and throwing the ecology out of whack. As you can see, information on many of the dive sites is scant to nonexistent. I invite those of you who dive there to give me your descriptions in the comments and I will provide more details. Thanks. Los Roques Airport, on El Gran Roque Island, handles flights all through the daylight hours, mostly from Caracas for small aircraft (STOL). From there most people go to the port and travel to other islands using small boats, called peneros, from 9 am to 4 pm. Most activities are related to the beautiful seaside and the outdoors. The Los Roques National Park was originally set up as a bird sanctuary and the islands are home to many seabirds including pelicans and seagulls, as well as iguanas, salamanders and black lizards. One can island hop and trek to do a little bird and wildlife watching and take in the landscape that includes light houses and a volcano. Snorkeling, paddleboarding, surfing, wind surfing, kite boarding and fishing charters (bonefish, barracuda, jacks, Spanish mackerel) are all popular. Wow that looks great. That’s the second time I have seen that archipelago in video and it is sure on my scuba bucket list. Video and photography look amazing. The spearfishing is just for the lionfish. As you say, it is an intrusion problem. I have heard they are good eating, but haven’t tried them yet. Here in Asia they are not really in the marketplace and as natives they are in balance with the ecology. I haven’t yet gone to Los Roques. I found that so many indicated what great diving they have, that I did some research and put together that short review. As I indicated after the descriptions of the dive sites, I would welcome anyone who has gone there to give me some feedback and help improve the site descriptions. Good day Joe, would be very grateful for an honest opinion of any personal safety concerns there would be out in the (los Roques) islands, seeing as most travel advisories are saying stay out of venezuela right now. But also wondering if the tourist trade is hurting bad enough for there to be any extra special deals to be found right now, or is it business as usual as far as tourists go? Would like to find a location off the main island that offers kite boarding in addition to diving. Thanks for insights. My research shows that the US, Canada, the UK and New Zealand all have issued travel advisories against going there at present. I can only advise to wait for a better opportunity when things are more stable. Unfortunately, it’s hard to say when that will be. Flights in and out have been reduced and need to be booked well in advance. If you fly to the airport in Caracas, you do not need to leave the airport. You can stay there or in a hotel at the airport and then fly out without having to go into the more dangerous city. I looked for transportation from Bonaire to Los Roques and it does not appear readily available. I also looked through the hotels in Los Roques and don’t see any major discounts. Perhaps they are not seeing a decrease in business. There may be others, but all the hotels at my agent are located on El Gran Roque, as are the dive shops. You would have to depart from there for the best kite surfing opportunities. Unfortunately I have probably not given you much you didn’t already know. Take care if you decide to make the trip.